My self and my team are embarking on an endeavor to gauge the interest in forming affiliations with fellow professionals like yourself. 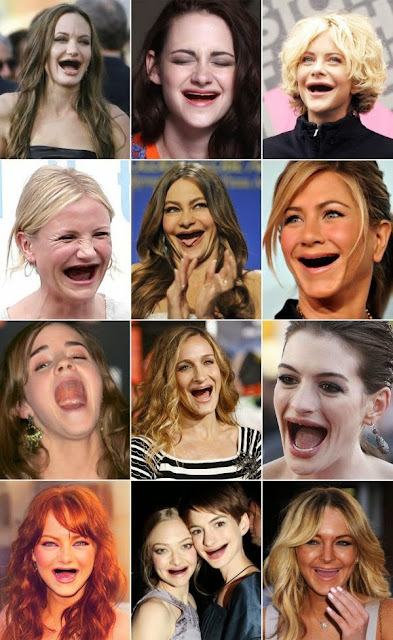 As you all know, the art of Dentistry is constantly evolving. Doing what is best for the Patient, while maintaining a profitable and efficient business is challenging. Throughout many years of trial and error, I believe I have developed the business models and protocols that can help to grow and enhance any Dentist or Practice. I would like to share what I have learned with like minded professionals like yourself, and together I believe we can bring the life-changing effects of Modern Dentistry to more Patients. Nowadays, with modern advertising mediums, we spend to much time in competition with each other, I think those who develop ways to work together will inevitably be the most successful. This is only the first step in developing relationships with my fellow peers, that will bring efficiency, predictability, and profit to your Practice. I welcome any comments or suggestions and look forward to hearing from you! 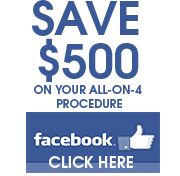 I have performed the All-on-4® treatment concept 1000's of times and I have developed protocols in both the placement and restoration of dental implants. Through much trial and error, I have assembled a team of young-minds that develop and implement the latest in digital dentistry. These advancements in protocols can bring unprecedented improvements to efficiency, predictability, and cost to any practice. One thing I can tell you is that having a Lab Tech with "decades of experience" is not always an asset. Often their methodologies are decades behind the digital age. In order to advance we must think "outside-of-the-box". By remaining loyal to Patient satisfaction, and emerging technologies, myself and my team have developed an exceptionally strong online presence. We receive 100's of inquiries daily from Patients all around the world, and cannot possibly treat all Patients. I would like to help grow the right Dentist and or Practices in a manner that maintains integrity, predictability, and profitability for all. If you have any interest in forming a relationship, please fill-out the form below. Remember, we are still in the exploratory phase of development. Nothing is final or "set in stone". ANY INFORMATION YOU SHARE WILL BE STRICTLY PRIVATE! 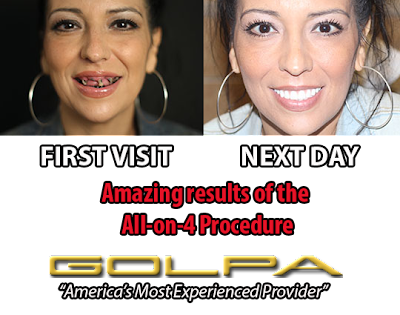 The All-on-4® is the modern solution for all missing teeth. This treatment concept replaces your missing teeth with a Full Dental Bridge, No Palate, No Excess Material, Not Removable, and supported by only Four Specialty Dental Implants, with two of the Implants placed at precise angles. With less implants needed, overall treatment time is reduced. The unique All-on-4® solution also ensures greater stability in the bone, reducing the need for bone graft surgery to increase bone volume. Your teeth will look, feel and are brushed much like natural teeth, and you can lead a normal life immediately after a 1 Day surgery. Studies indicate that Patients receive 90-95% chewing ability. Your quality of life is improved and you can start enjoying your favorite foods again. 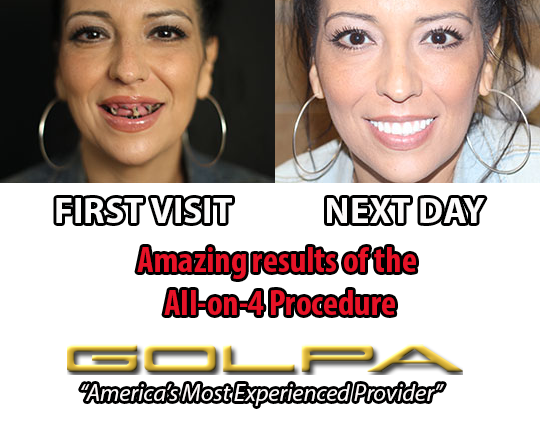 All-on-4 Dental Implants | Patient Testimonial Videos | Golpa Dental Implant Center, a set on Flickr. D. The total process is performed in 1 ( one hour ) initial visit, 1 ( four hour ) surgery in our office, 1 (one hour ) visit for the delivery of your fixed bridge. 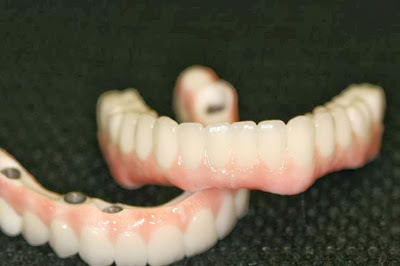 No other practice has the equipment, expertise, personnel, or experience to deliver custom, HIGHLY-AESTHETIC, fixed bridges in this time-frame. 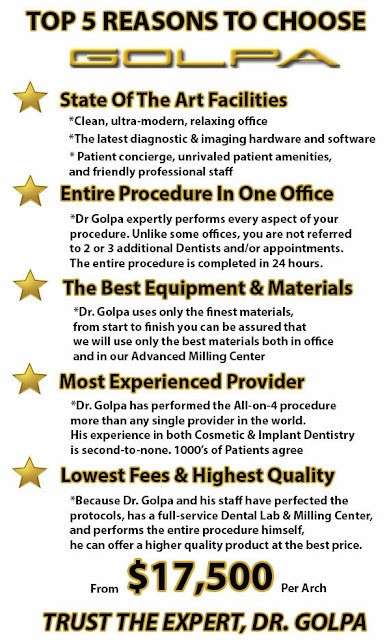 CALL TODAY TO LEARN MORE: 1-800-797-0406 — at Golpa Dental Implant Center - Las Vegas.